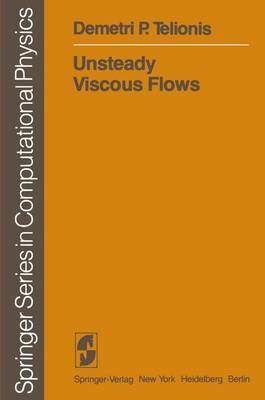 Most of the fundamental concepts of unsteady viscous flows have been known since the early part of the century. However, the past decade has seen an unprecedented number of publications in this area. In this monograph I try to connect materials of earlier contributions and synthesize them into a comprehensive entity. One of the main purposes of a monograph, in my opinion, is to fit together in a comprehensive way scattered contributions that provide fragmented information to the readers. The collection of such contributions should be presented in a unified way; continuity of thought and logical sequence of the presentation of ideas and methods are essential. The reader should be able to follow through without having to resort to other references, something that is unavoidable in the case of a research paper or even a review paper. Many of the solutions discussed in the literature address specific practical problems. In fact, in the process of collecting information, I discovered independent lines of investigations, dealing with the same physical problem, but inspired by different practical applications. For example, I found that two groups of investigators have been studying independently the response of a viscous layer to a harmonic external disturbance. One group is con- cerned with mass transport and the transport of sediment over the bottom of the ocean, and the other is interested in the aerodynamics of lifting surfaces in harmonically changing environments.